Last edited by yoitisi; February 6th, 2008 at 05:43 PM. 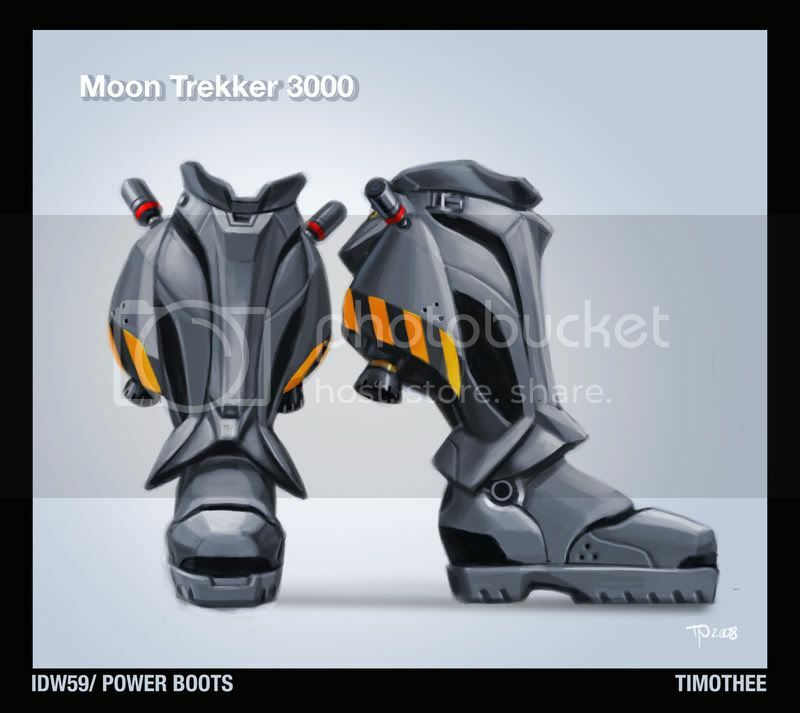 This concept is basically a pair of assault boots with twin cannons on the toes and one on the heel. When you press the triggers held in each hand they fire. I was trying to go for a heavy weapons feel with these boots. I chose to draw a fat guy wearing them to try and emphasize that point. 1. Absorbing quarter of the dancer's weight when needed (1 min max). Good for jumping, lifting, and it's healthier to stand on your toe. 2. Lifts the dancer to the air for 15 seconds. 4. The connection area. information is sent from the tip of the shoes for the massive part. These shoes were worn by the famous actress, Janice Brown (third clone of Maria Brown) in the Role of Agent Angle in the James Bond Movie, Green Angel. She was able to pull of the ugly fashions such as these second dark age style shoes with such grace that she was names “swan” by the press. These shoes were supposedly created using secret technologies during WWIII by Angel’s Great Grandmother. They allowed the wearer to teleport by tapping the heels together three times in order to activate a connection to the satellite atomizer, then speaking the name of the location (this technology at the time had the side effect of often causing pieces of missing clothing which worked in the male viewer’s favour). Each sequin on the shoe is a nanochip that is wired to the next in order to create a computer capable of doing this. They also had weak micro-jets in the soles that allowed the wearer to float several inches above the ground. The buckle of the shoe also has one scalpel sharp edge. A secret compartment was concealed in the heal of the shoes allowed the wearer to hide such things as cyanide pills, garottes or lipstick. 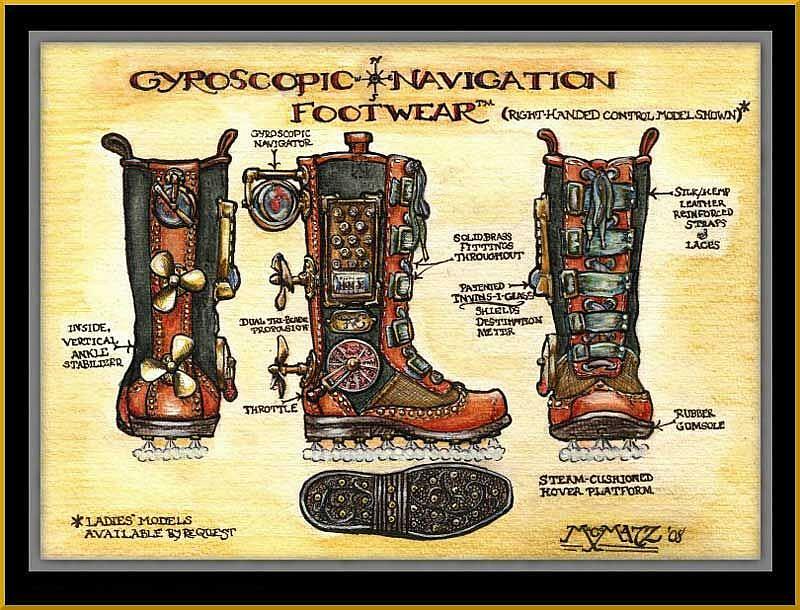 Test unit 77.054.T8H Designated: "Teleportation boots"
The concept is a steampunk GPS boot that gets you where you're going. You punch in the coordinates into the Destination Meter and then the Gyroscopic Navigator plots it. Then you Throttle on and the propellers blast you forward on a hover cushion of steam. The boot pictured is the control boot of the pair. The non-control boot is the same but without the throttle or the destination meter. It follows the path of the control boot by using a magnetic mechanism that displaces the route a foot to the left (or right for left-handed control boots). The boots are constructed of leather, silk/hemp fabrics with brass fitting and a rubber gum sole. Last edited by yoitisi; February 6th, 2008 at 05:33 PM. Sinix: As I said in the original thread, I've actually no idea what these boots do However, I think the style you used is very effective and you're able to convey these boots aren't just ordinary boots, so I decided to grant it a place in the poll. I think there were some WIPs in the original thread which I didn't take to poll, if one of these was yours you now know the reason. I'm disappointed that Yutani didn't follow up on some of his initial sketches. He had some very strong design ideas going on. I guess I'm not very big on descriptions, but in my head, I was thinking that my boots would be a sort of heavy machinery interface... hooking into various robotics and things. So my vote went to Sinix. Migsta: like your design, good job going for the non human aspect and probably an effective idea to go for when considering larger animals and such. Crit: some of the technology could be explained a little better but overall really well done. Legato: cool design. 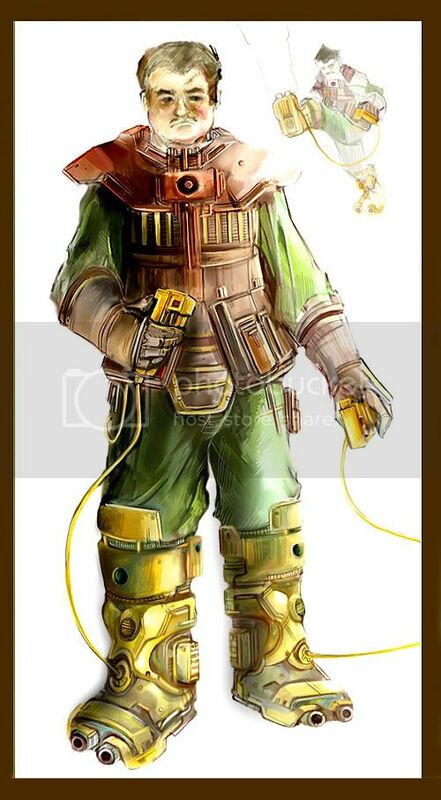 digging the steampunk idea and theme well drawn and presented. overall well made boots and design, effective. Crit: lots of reading, try to explain the tech in a little less words, bullet points are king. Timothee: Cool design, well put together nice colors and very easy to understand the way they function. Crits: looks a little heavy, which is acceptable in moon colonies i guess. It's obvious to see upward thrusters but i'm not seeing any retro rockets. otherwise good job. RandAlThor: Cool idea, nice concept. well drawn. 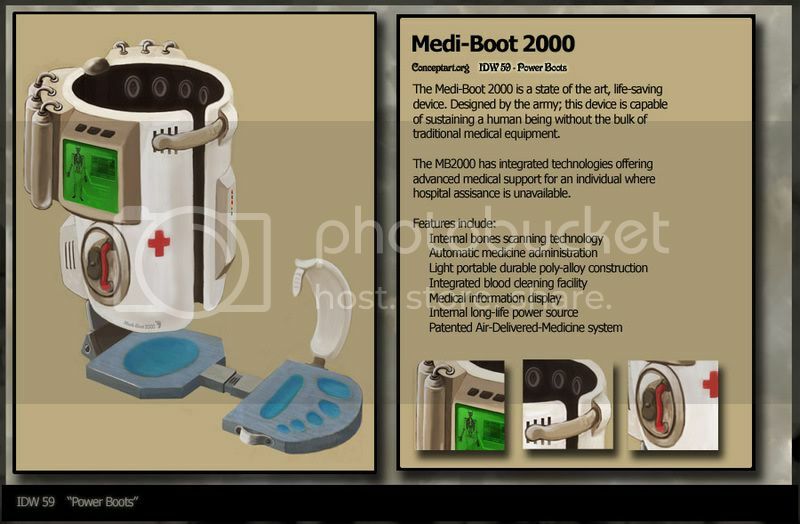 Would be fun to have a pair of these, as far as 'life saving' goes that technology would probably be better for chest devices, but considering it's a 'boot' contest we'll ignore that little bit. EElevation: GUNS ON YOUR FEET! What else could you want? Good design, really industrial, nice colors and they really fit with the feeling of the character. Crits: Wireless triggers would probably work better. The action pose should be more apparent, either bolder or in a separate box to show its importance a little better. Tipa: Interesting idea, i realize how much dancers need support so this would be pretty useful, particularly if it could be put together in a really form fitting package. Crits: Kinda hard to see how it works, think more about how the technology functions and fits together. 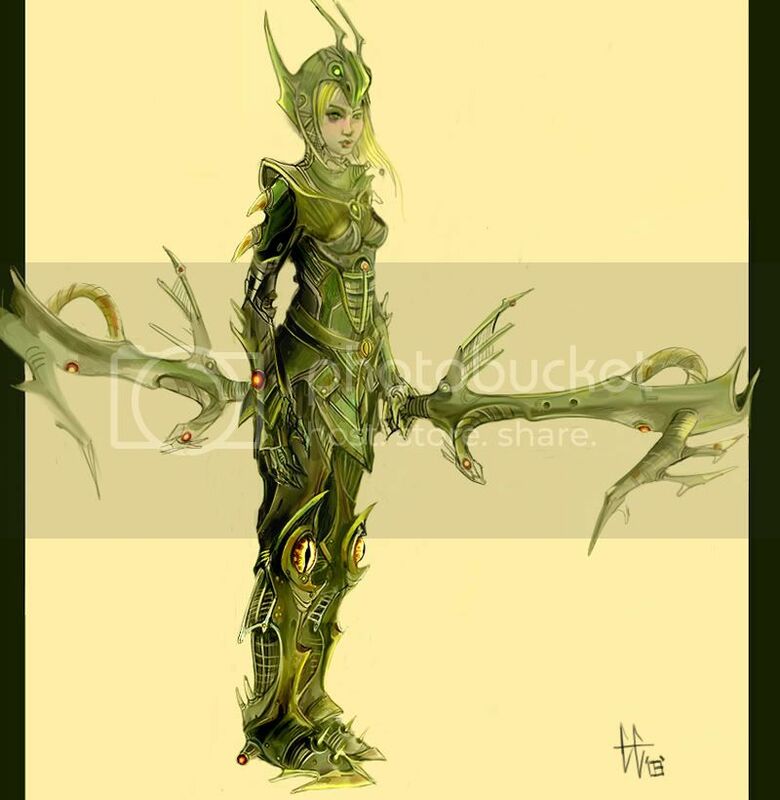 Pixietrick: Nice job describing the shoes, compelling arguments and good backstory. Crits: Without reading all these look like are rocket shoes, it would be nice if it was easier to tell that they teleported users, had integrated nano-processors. something simple like small bullets or callouts would accomplish this easily. GusTheRobot: (Me) lost a high res image half way through, took more time than i'd have liked to get it to a finished stage. overall i'm happy with it, but it didn't come out exactly how i invsioned it would've. Shoulda managed my time a little better. Meh. Sinix: Slick design really solid colors and compelling silhouette. Great brush economy too. Crits: At a glance, not quite sure what they do. although they state pretty directly 'future bootz!!' would be cool if you took em a little further. mcmatz: gotta say, for using traditional mediums you did an extremely good job, good ortho, nice details, straightforward descriptions. like some of the more humorous comments. As far as their effectiveness goes, seems like it really gets the job done for what it's designed for. Nice style. Crits: Little hard to read some of the smaller text, try scanning it in at a higher resolution. Would be nice to see an 'in use' shot too. Deftonyz: nice design, cool background, clear edges and easy to understand the shape/function. Crits: more angles would be good, some of the perspective is a little iffy. Migsta- Nice work dude, the thing I liked most about your concept was the illustration of the beasts legs, the two boots, how you showed one leg bending with boot, the other wasn't, this showed thought which I appreciated and also very well presented. Gus- thanks for doing those comments, I always respect someone for doing it, because everybody who posted wants to get feedback, why else would they be here posting? anyways, I'm bad about doing crits so i feel obliged to thank the people who do. Last edited by yoitisi; February 7th, 2008 at 03:42 AM. I was actually assuming there would be lots of alien/animal boots, but as it turned out you snagged the only one! The presentation is quite good, and the rendering is adequate, although the glowing green seems to bleed out a bit more than would be expected. That said, the blue fill lighting from the digital background grid is a really nice touch, which serves you well. Industrially you might want to be careful of the ‘hinged shin support’ as the design in the perspective render makes the plate look immobile – adding a hinge point is a step, but it still looks like a solid piece of metal. is the animal put to sleep? does the boot split open? The real weakness I see is simply scale. The profile view of the beast wearing the boots sums it up best. The feet in the back are much bigger than the feet in the foreground. The foreground boots on the other hand are really gimped, and should be larger than the ones in the background, not just in keeping them looking right, but because you would imagine an animal that big would have pretty big feet to begin with. As I have stated before, I’ve never really done boots before, and I wasn’t too excited to start, but the idea is what drove me on, and ultimately I think this is one of my stronger pieces. Since believability is always core of my designs I also chose this picture as one where I would document all of its inner workings. That being said, it’s a thin line to walk between showing off how everything works and getting people into that mindset, and not being able to explain everything and having their expectations built up. Also, as GusTheRobot mentioned it was pretty windy, but I was trying to document every stage of it, and even than on the first version, somebody had no idea how part of it worked, so I felt compelled to write up the fourth stage. Normally I would stick to bullets I guess is the moral of the story! In regards to render and design, its been a few years since I’ve done any steampunk so it was nice coming back, and I also enjoy mixing up these weekly challenges with strictly technical drawings and compositional drawings. Solid render, and a decent usage. I especially like the cleanness of the colors, and the thrusters are especially well done. A weakness in regards to the render in my opinion is the lacking harder shadows, or drop shadows. They would almost be ok, but you have so much pure black on the sides of the shin and heel that it really plays havoc with the levels. Conceptually I would have liked seeing the fuel canister, and the reload system. Also, it seems a little difficult to squeeze 4 hours of constant use out of a canister big enough to fit in a boot, and I know in the future all bets are off, however I would still have liked to seen a more conservative estimate. Especially if field fuel can replacement involved a really cool process of injection and the like. On a final note, the layout of the boots almost requires there to be legs. The right boot’s angle backwards is believable enough, but without legs its constant tipping backwards is more distracting than I thought would be possible! This is the first of a few submissions this week that bug me simply because their purpose has nothing to do with feet. I could see a medical boot that prevented and overcame fractures – for instance, something put on a damaged foot in the field that temporarily overcame severe injury, but an all in one medical system that you wear on your foot for whatever reason bugs me. Furthermore design wise this boot wouldn’t work to wear walking around the house, not to mention a war zone. First of all, there is really no way for the ankle to move. Not only would the front of the white plastic dig into your foot, but also the rear brace would prevent any movement, other than theoretically ‘pitch’. Also, would the user wear this barefoot as the sole suggests, and how fun would it be to stand on that broken platform? Clean rendering and presentation aside, next time give a little more time on the practicality and the presentation – remember, the hard part is fitting in ideas to the drawing, it doesn’t just come instantly. I’ve always found the idea of guns in boots/shoes really an odd one. They usually seem to me on the same level as having blades in shoes, as something gimmicky or otherwise. That being said, even though you intended differently, the upper right picture really gives me the feel of these being part of some sort of sport, or an armor system much more elaborate than what you have shown, which brings me to my primary negative. Your inclusion of the full figure! Most of the time adding in the character would only be a good thing, and your depiction is really really good, however for this all you needed were the boots, and right now the boots seem like they are part of something much bigger, but not part of anything else this guy is wearing. I do like the design of the boots, although with a barrel I would imagine the feet would be cramped, also, it would make more sense for the firing triggers to be part of a glove, and not large clackers. Ultimately, I like where you’ve gone, but I personally feel this concept would have thrived with more focus. For instance, a boot worn by SWAT team members to aid in kicking down doors. The render is unique, the boots compel good thought, despite their flaws, but the figure begins the unraveling fray of inconsistency. There’s a few ways I could go about critiquing this. I could point out that these aren’t’ boots at all, but are a unique take on the situation, even if they don’t strictly adhere to the topic. Or I could let it slide and count them as full boots, but regardless, I would have the same suggestions for a second revision. I concede that an actual bulky boot would not aid in the grace of a dancer, and that the thighs are the best place for a levitation device, however it falls apart from there. For starters, there is no indication as to what modifications the actual foot wear possesses to turn those 4 wires into a anti gravity, device. Also, you are strapping something almost ugly in its complexity, to what is a graceful and pure form, with no noted attempt to design it differently. The annotations do nothing in describing the function of the different pieces with the execution of number 2, but even than, I don’t know if it’s a down firing jet, or something else. Most of the negative I have to say about this is really in regards to how garish the device is in contrast with its wearer, my advice is next time you try to more closely integrate the two forms stylistically. I want to make it clear that I think your rendering is really quite good, however you seem to have invested more of your time and thought into things that are not portrayed in the actual picture. For instance, the spy compartment I can buy, but adding thrusters onto the bottom? 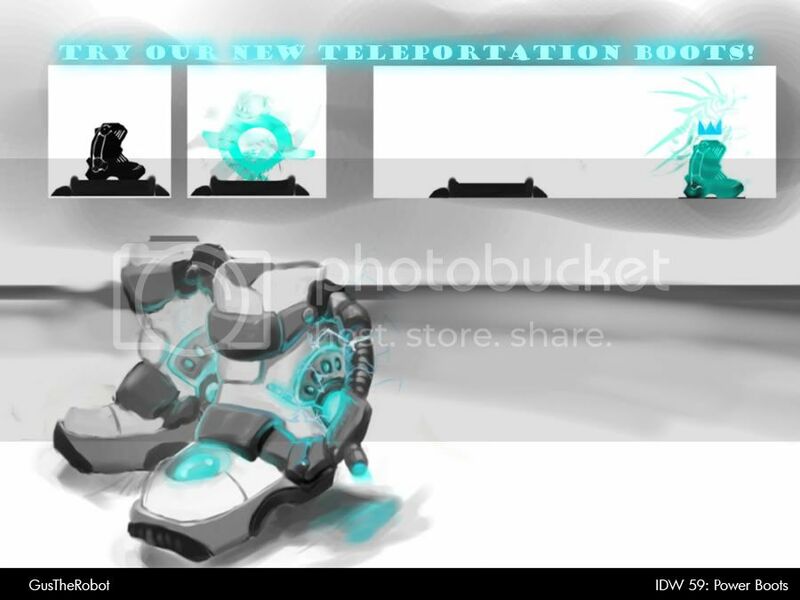 The nano computer thing is cool but teleportation? 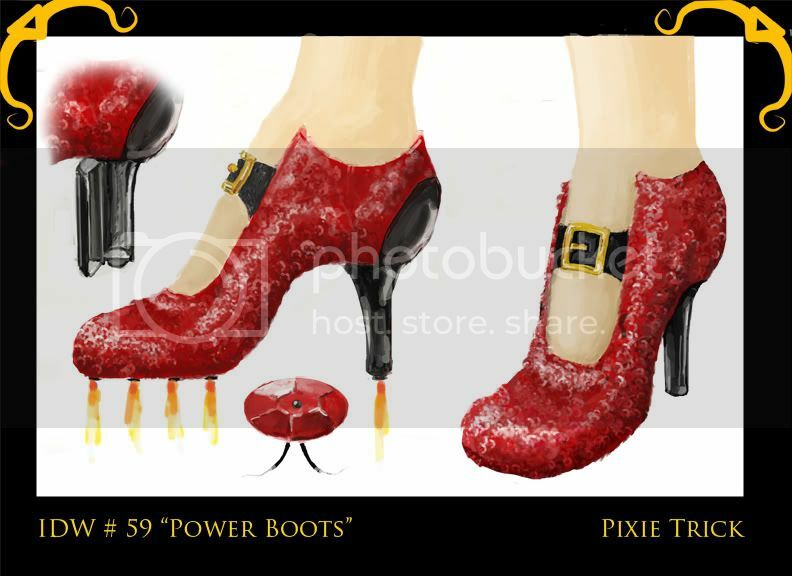 When you go so far as to add thrusters onto the bottom of high heels, while and only depicting it with small little jets I think your missing the point. Other than the heel compartment, there has been no industrial design in the entire picture, and in that regard I think you could certainly improve immensely if you just reallocated your time and focus. Also, as one of two boots that endow their wearer with the ability to teleport like RandAlThor I would have to say that personally I would have liked to see more abilities tackled that a boot or shoe would lend itself to. That being said, the partial clothing teleportation thing is gold. the rendering up top is far more clear than the full view, which I think needs more tightening up and work. It almost looks like you are weaning yourselves off of line work too quickly, as the quality of the shapes that make up the form are wavy and uncertain. Having read your description I defiantly see how these could be high tech interfacing ‘spurs’ for all sorts of equipment. Furthermore I really love your render, but in this case I don’t think it lends itself well to depicting a form nobody has ever seen before. I would say a side technical view and this would be quite lethal together. Also, as a side note, yoitisi requested that both boots be shown unless it was worn by a one legged alien or whatnot. woot for steampunk! And I must say, this is one of the best renders and presentations I’ve seen for quite some time, and it’s traditional at that! Since most of this piece is so strong, I’ll focus more words on my nit picks. When I set out to make my boot, I gave all the various components as much room as they needed to feel possible and comfortable within the structure of the boot. However, here you basically have a standard skintight boot, but with all sorts of implements that would physically require much more room. For instance, the propeller system is really period, but there is no room for drive shafts, or in that case, no indication of what turns them. As to the steam I completely understand that there is room for fantasy – and on the other end of the spectrum my picture, which is taken to a realistic a level as possible, but I still wish there was some sort of explanation as to where all the water and pressure was coming from. In terms of the different control devices, the location of the throttle and buttons almost makes them useless but that could all be remedied if they were on a hand held controller that when not in use could slide into a side-boot holster or bracket – just an idea! You defiantly have ability, and im betting you got in half way through time wise, but if you don’t care about your own picture why should we? Also, like Sinix and Deftonyz you didn’t include multiple shoes which could have barred you from the vote had yoitisi been sleep sober and/or less generous. My Vote went to Migsta despite the scale issues, because they were so minor. mcmatz your image is simply beautiful but my mind couldn’t get around a few of your engineering decisions, which very easily could be my fault for how linear I am. Timothee you easily had the most believable depiction of the good old standby of ‘rocketboots’ aided by the lower gravity, but would have liked something new to have been brought to the table. Last edited by Legato; February 8th, 2008 at 03:51 PM. I agree Legato, the thing is, I chose the wrong pose for the back ground legs/feet. The edges of the background boot/leg happen to fall right at or near the foreground leg edges. So there's a wierd over lap/tangent with the legs. If the legs were seperate, it would be clearer. Good call! I will also try to add more descriptions next time. I voted Sinix - Very cool image! Design is simple with a lot of implied details, nice colors/rendering style. Thanks for the comments and "Good round everyone!" I voted for Migsta's piece, it was an interesting idea and well presented. I also liked RandalThor, Legato, and McMatz renditions. Gus- Thanks, I appreciate the crit. Legato- I actually did an ortho of the whole boot, but edited out the back view, so it wasn't really a pose of the boots, just an ortho made to look like a pair(if that makes sense). I'll try and spend more time on the design next round. Migsta got my vote, original take on the idea, nice presentation and solid ps skills. 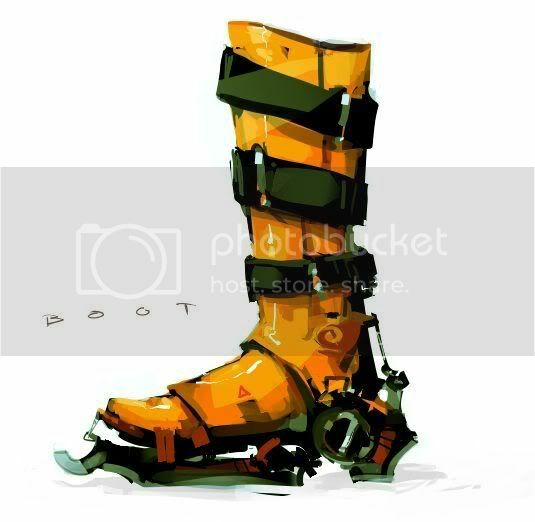 some random thoughts, sorry for non-indepth crits, i gotta rush.. i'll do better work and crits in the next challenge hopefully, thankyou to all who commented on my entry..
Nice take on non human boots. Nice rendering. Back legs bit big wrong tangent, how do you put these on? Legato: Good mechanical thoughts, mice rendering. Not sure if technically would work? Bulky frame would need to dettach once landed? Timothee: Solid rendering, good idea, surprised we didnt see more of these, How do the nozzles change direction? mcmatz: Very nice that you used traditional techniques. They look a bit busy design wise, nice presentation makes me think steam punk a little. RandalThor- Actually, the boosters are stationary. They are positioned angled backwards to propel the user forward and up. This is facilitated by the Moon's low gravitational pull. IDW # 166 : Seven League Boots - VOTING!